The Masters has the smallest field out of the major Golf championships at around ninety players. It is an invitational event, but nowadays invitations are largely issued on an automatic basis to players who meet published criteria and as the top fifty players in the Official World Golf Rankings are all invited, none of the leading current players in the world miss out. The Masters is played every year at Augusta. Along comes another US Masters and once again a lot of the build up has been about Tiger Woods, would he, wouldn't he? Fortuntately he played his hand early and will sit out the 2016 Masters with a back injury. Hopefully this time the problem can be cured once and for all and he'll be back to jis majestic best. This leaves us to look at who could win it this year and it's a really difficult one to call. Rory McIllroy will be desperate to complete his set of Major wins but in his way will be last years champion Jordan Spieth. The bookies are finding it hard to settle on a strong favourite and the truth is that is really is a case of anything could happen. The only thing we can say for certain is that after the 1st hole of the 1st round Ernie Els probably won't be taking the trophy home! 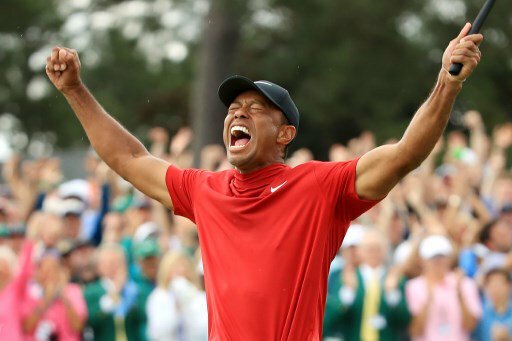 The Masters attracts a huge TV audience world wide (tens of millions), this year will see technology being used to allow iPhone and other mobile device users to watch live coverage and view up to date score cards as the tournament progresses. As well as the normal TV channels there will also be plenty of options for watching live Masters Golf online (in the UK the BBC are covering the final rounds). The official Masters website also has live online coverage (US only) and highlights of all the best rounds. Follow the leaderboard link below for more information.